A STAR IS BORN; Do You Dim Your Light So Someone Else Can Feel Shiny? I found the fourth version of A Star is Born, the most moving. 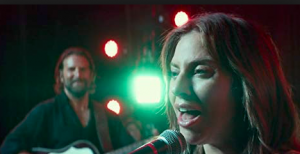 Bradley Cooper mesmerized by Ally, beautifully revealed by Lady GaGa, thrusts her into the spotlight and… a star is born. 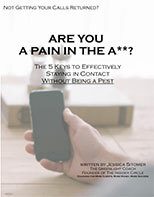 Watching her struggle with her success as he hit rock bottom was heart-wrenching for me. Perhaps because I’ve seen so many incredible people dim their own light to protect the ones they love. Family, friends, and frenemies have their own personal “crap” they’re living with, so when they lash out at you for pursuing your passion, it is extremely painful. You may feel guilty, suffer from fear of success, or worst of all, give up so as not to upset others. Find a success circle. This is a circle of people who surround you with encouragement, help, and accountability. They care about you and your dreams and will support you when you’re struggling and celebrate you when you enjoy success. Work on thickening your skin. Most people who discourage you are worried about you. They don’t want to see you hurt. Those who undermine your success do it because they are jealous or envious of what you are brave enough to accomplish. And you know what? I just made those explanations up, just like you do every time you try to justify why you have to make yourself small, so you don’t rock the boat. The reality is, WE don’t know why anyone reacts the way they do unless they are brutally honest which is rare… and guess what? We don’t need to know. All we have to focus on is what we want, why we want it, how we are going to get it, and I’ll go as far to say, and how it will change the world for the better. Despite downplaying her success, trying to include Jack on her tour, even canceling her tour, it could not quiet the demons that plagued her husband. We can’t take responsibility for others’ choices and opinions. Do the best you can with what you have and make your dreams a reality! Want More? More Clients, More Business, More Money, More Success? Check out my Insider Circle HERE. You’ll receive access to our private Facebook group, LIVE Q&A webinars with me, this month’s webinar on “Your Holiday Business Pre-Plan and Strategy” along with the archived business webinar topics like Lead Generators, Branding Your Business, Evaluating Your Actions & 3 Power Moves.